The Advertising Standards Authority has upheld a complaint against Asda, which accused the retailer of promoting the benefits of formula milk over cow's milk, and has ruled the ad must not appear again in its current form. The ASA has upheld a complaint against an advert sent to Asda’s Baby & Toddler Group, which, the ASA has ruled, implies children should consume Nestle’s SMA Toddler Milk in preference to cow’s milk. The advert's copy told parents that cow’s milk was low in iron and vitamin D compared with SMA formula. It was found to have breached the ASA code by implying that "a young child's health could be affected by not consuming SMA Toddler Milk." The ASA also found it therefore "gave rise to doubt the nutritional adequacy of cows' milk. The ad, sent on email to parents, said: "Dairy is a great way to give him lots of nutritious goodness and toddlers should have two to three servings a day. Although cows' milk has many nutrients, it doesn't contain much iron or vitamin D, so SMA Toddler Milk is a convenient option. "It's made from cows' milk but is enriched with essential vitamins and minerals to help give your little one the important nutrients he needs as part of a healthy balanced diet to help him grow." However, both Asda and Nestle argued that the ad did not emphasise SMA milk as the only way to obtain nutrients, and the ad recommended that children have three servings of dairy per day. 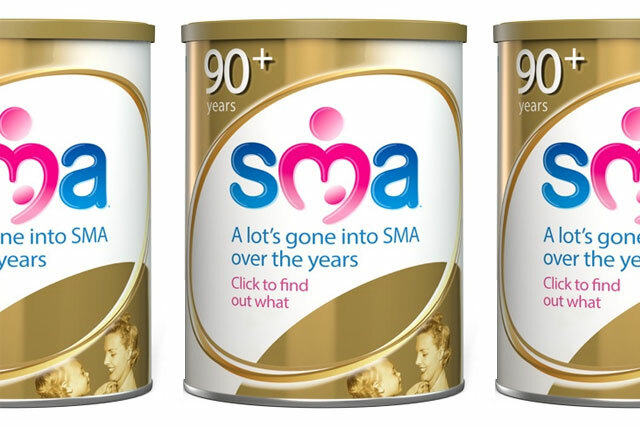 However the ASA found the "overall implication" was that health could be affected by not consuming SMA Toddler Milk. It also found Asda had not complied with the requirement to ensure claims regarding the vitamin and mineral content of foods were listed according to EC regulations. A spokesperson for Asda said: "We respect the ASA’s decision and will work with our suppliers to ensure the ruling is adhered to in future marketing."